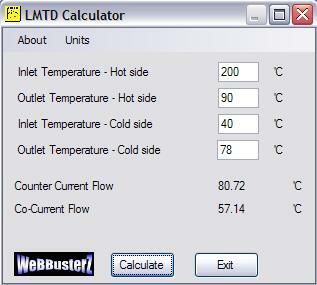 Log Mean Temperature Difference Calculator (LMTD) is a free software tool. Calculate the log mean temperature difference for counter current and co current flow. Please note that this software requires microsoft .Net framework to be installed on your computer. This is usually present on all new computers.